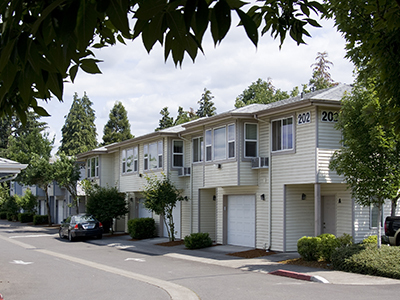 HFO Investment Real Estate (HFO) announced the sale of Brentwood Estates Apartments, located at 317 30th Street in Springfield, Oregon for $40.5 million. Brentwood Estates occupies nearly 24 acres and consists of 76 two-story buildings in duplex, triplex and fourplex construction. With 295 total units built in four phases between 2004 and 2007, Brentwood Estates is the largest multifamily community in Springfield. The property is located across Main Street from Willamalane Park District’s massive Bob Keefer Center for Sports and Recreation. The sale of the property for $40.5 million is the largest multifamily transaction in Springfield history. The previous record multifamily sale was HFO’s 2013 transaction of a 98-unit apartment community in the Gateway area for $7.8 million. Brentwood Estates was sold by a Portland real estate investment company to a California investment firm which recently sold a large property in Grants Pass. The buyer, incorporated in Oregon as Countryside Partners Springfield LLC, plans to continue make upgrades to the apartment units which currently feature granite countertops, air conditioning, electric fireplaces, and private backyard patios. Brentwood Estates also offers residents a community clubhouse with a fitness center, two large tennis/basketball courts, a leasing office, a community room with kitchen and conference room, and an outdoor children’s play area. The sale represents a price per unit of $137,288 per unit or $116.34 per square foot.